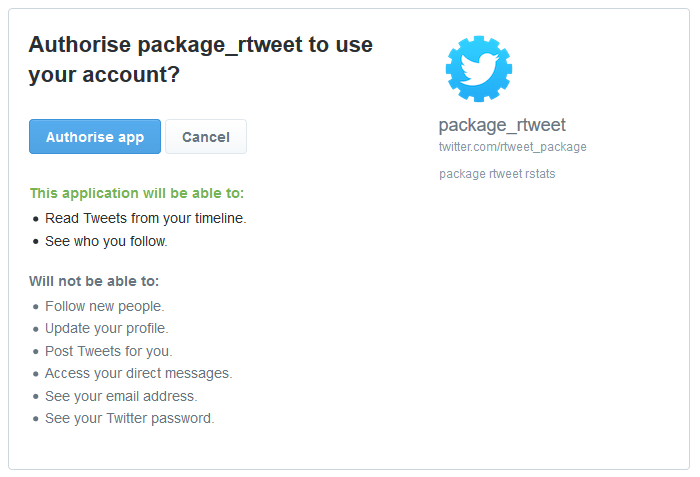 rtweetパッケージでTwitter APIからデータを取るのが超お手軽になってた - Technically, technophobic. Why do you require users to create own app? There’s no reason not to embed in package?